Barely one month later and they were completely attached to each other, and here we are four years later at their wedding. Love came easy to them. They both knew they wanted something laid back for their wedding day. A simple white tent in her dad’s backyard, with shotguns for the guys to shoot in the morning, mimosas at a bed and breakfast for the girls, and a wedding ceremony under the Oak trees in the family pasture. Handwritten notes, and handwritten vows, vows which Stan threw away during the ceremony and “just winged it.” A reception full of laughter, Margaritas, and a rousing song by a groomsman that didn’t quite sound like a singer. This was Catherine and Stan’s ideal wedding, which fit them (and me) perfectly. Interested in having us film your wedding? Please get in touch! I struggled for a while with a title for this film. Oftentimes it is easy to come up with a name once I get to know the couple, but for Richard and Carissa things have been a bit different. Should I reference Richard’s Scottish heritage and smooth accent? Does their meeting in high-school qualify? Or maybe I should speak about their engagement in Australia? They’re such an interesting couple! How am I supposed to distill them, their wedding, and their entire history into a simple title? East meets west. Scotland meets Texas. Richard meets Carissa. There, that should be simple and yet complex enough. “But more about them Matt! Tell me more about them!,” you say. 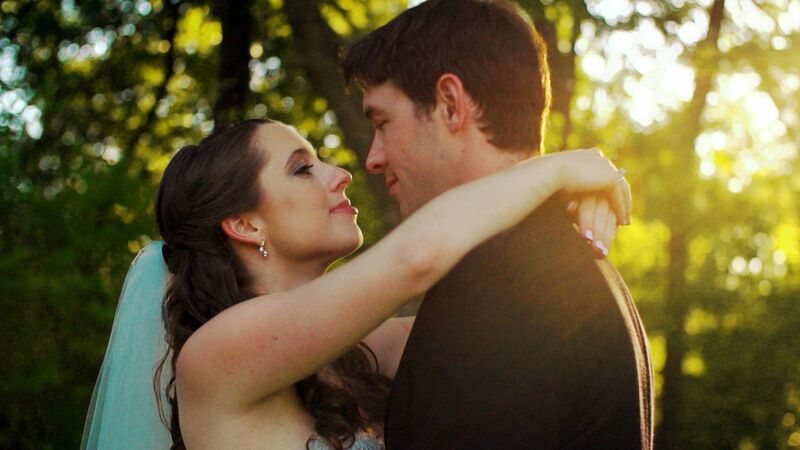 I’ve filmed weddings at a wide assortment of locations around the world. Churches, chapels, open fields, and redwood forests, all beautiful in their own way. Without fail, these venues are all chosen because of a special meaning they share with the bride and groom. So when I was asked to film Richard and Carissa’s wedding film, down a little dirt road, behind the house she grew up in, I knew their wedding would be just about perfect. Perfection was achieved soon-after when they told me that Richard and his groomsmen would be wearing traditional Scottish Kilts. Seen: An amazing moment. Unseen: Richard’s stellar kilt. On the day of the ceremony, under a blue sky with only a hint of clouds, in front of a handmade arbor of luggage, window panes, and burlap, Carissa and Richard were married. An evening of revelry commenced, that saw the fusion of Texas charm, with Scottish heritage. Traditional two-stepping gave way to Scottish stomping, with a fireworks show to cap-off the festivities. This wedding was the joining of two cultures, two families, two people, and it was truly a perfect day. Interested in having my wife and I film your wedding? Please get in touch! In the years after graduating from Texas A&M, I still found myself returning to College Station every few months to film a wedding, film for the University, or to pass through and see friends (and often film something with them). As time has passed though, that list of friends that call College Station their home has gradually dwindled. That’s the nature of a college town, over half the residents are transitory and will only live their for four or five – or in my case EIGHT years, before moving on to bigger cities. This doesn’t make my visits back to College Station necessarily lonely, but it does make my time spent with friends that still live there more special. One of the people that has made those visits great has been my friend Josh. For the past few years he has been consistent in not only finding out when I am headed back to College Station, but also what my schedule will be, and when we can hangout while I am there. This usually results in us staying up incredibly late filming timelapses of various landmarks around the Texas A&M campus while discussing the finer points of light pollution and whether Sony is better than Nikon which is definitely better than Canon. One of those nights two years ago turned to a discussion about a girl that Josh was pursuing. One that he met at church, was instantly friend-zoned by, and then managed to invite on a date for coffee. He told me she was a girl worth pursuing, and more importantly she pushed him to love Jesus more. Fast forward one year and I was back in College Station, filming more timelapses with Josh, but this time he brought the girl, Jennifer. A few months back he had proposed under the Century Tree on campus, and at this point I already knew I would film their wedding, but it was nice to finally put a face with the name of a girl that Josh had spoken of so fondly. 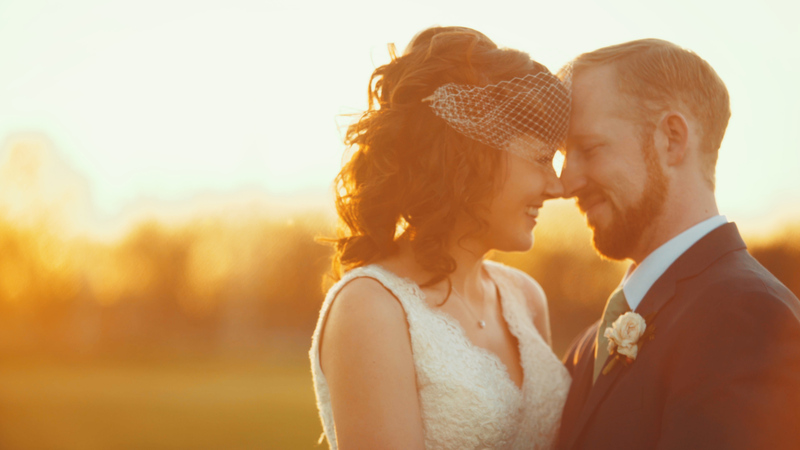 Finally, six months later after all the buildup, I filmed Josh and Jennifer’s wedding on a beautiful day in March. 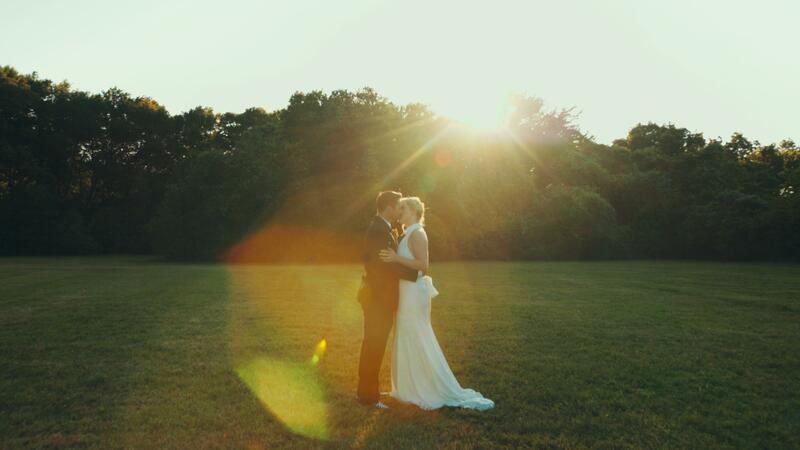 The clouds rolling through in the morning gave way to the piercing sun that cut the ceremony in half diagonally. Afterwards, we all marveled as the sunset cast its rays across the pasture. Throughout the day, I was constantly reminded of their love for each other, and Jesus love for them. Their notes? All about each other and Jesus. Their vows? All about each other and Jesus. The toasts by their friends? All about how they met, fell in love, and cared about each other and Jesus. Between those moments and the amazing weather, 12th man towel waving, and constant whoops throughout the day, I knew their wedding film was going to be fun to create. Interested in having me film your wedding? Get in touch!